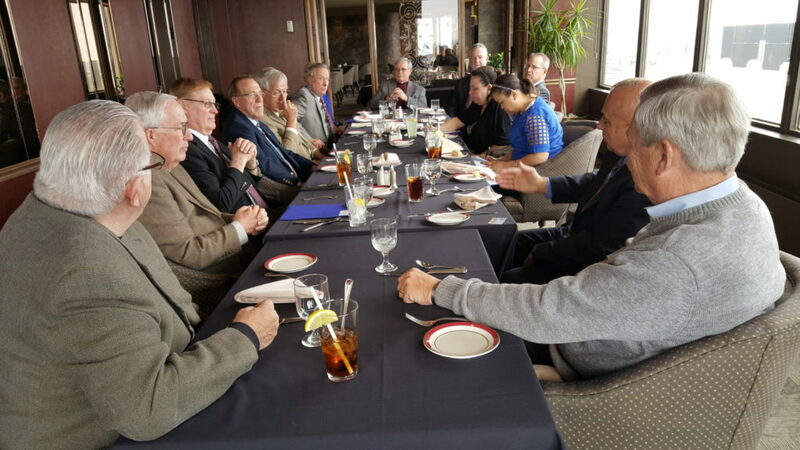 Legislative Day Lunch: (l-r) Tim Anderson, Rodale Emken, Senator tom Carlson, Doug Young, Senator Ed Schrock, Ron Tillery, Ann Tillery, Senator Steve Erdman, Senator John Lowe, Jeff Buettner, Gina Hofaker, Sophra Figgens, Senator Tom Brewer, Bob Rager. 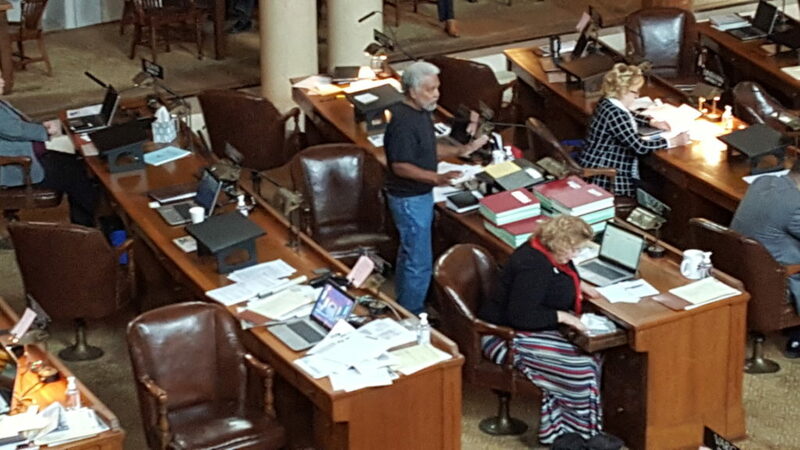 Senator Justin Wayne (standing) debates charter schools. 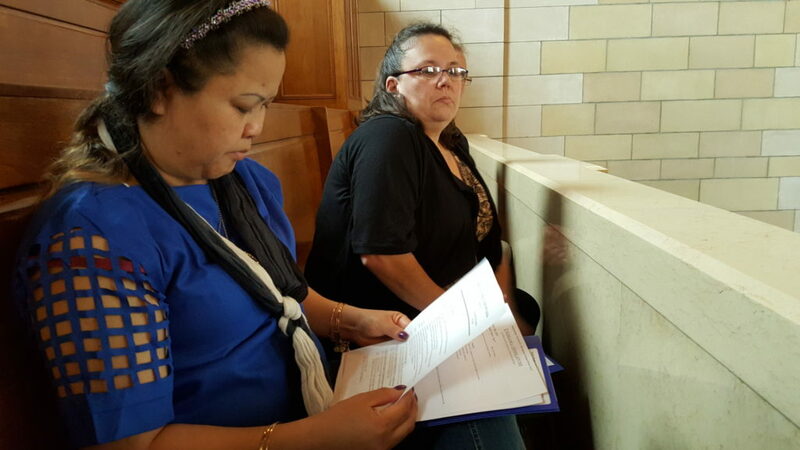 Sophra Figgens of Red Cloud and Gina Hofaker of Holdrege watch legislative debate from the balcony. 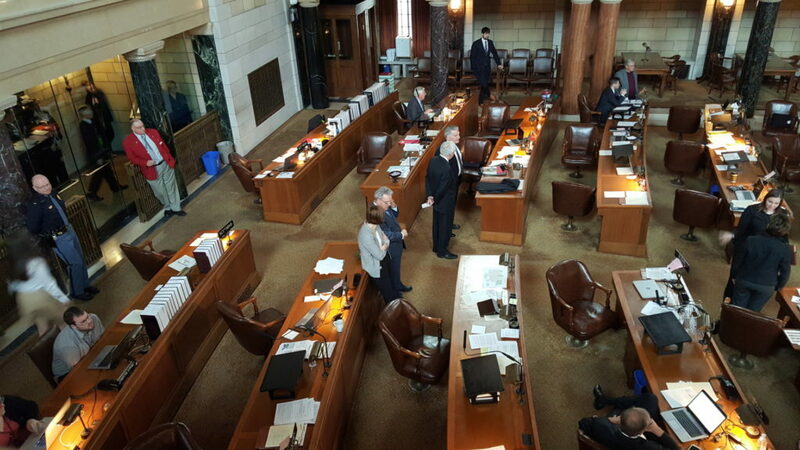 Senator Ernie Chamber of Omaha participates in debate on charter schools. 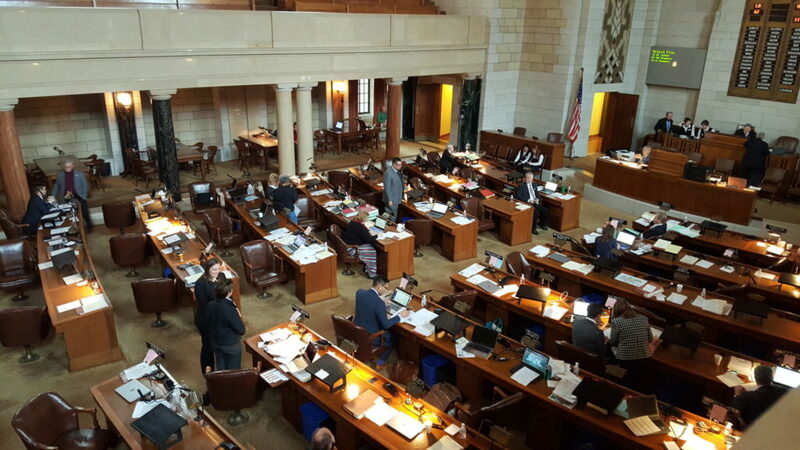 SPUCC held its Legislative Day in Lincoln March 15. The day included meeting with senators, observing floor debate and sitting in on hearings. Former senators Tom Carlson and Ed Schrock of Holdrege hosted the SPUCC group. 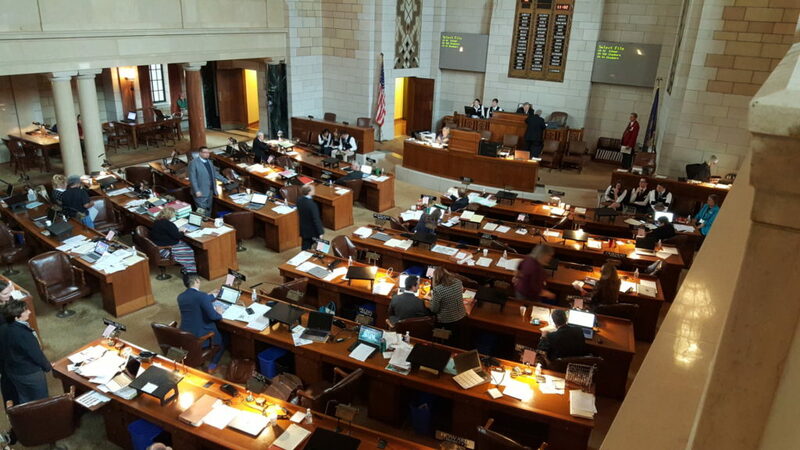 Floor debate was about a bill allowing charter schools in Nebraska. Senator Justin Wayne of Omaha had the floor for much of our visit. 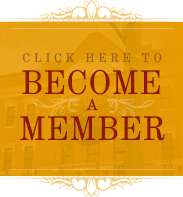 Senators John Lowe of Kearney, Steve Erdman of Bayard and Tom Brewer of Gordon joined the SPUCC group for lunch at the Nebraska Club. The senators spent a generous amount of time speaking about current bills and answering questions. Topics included economic development, charter schools, term limits, ethanol, medical marijuana, school funding and the helmet law failure. In the afternoon, hearings on many bills were conducted; members of the group attended several hearings. Ron Tillery of PCDC even testified on an economic development issue. A few members of the group who had not been to the capitol before took a guided tour of the building before departure for home. Central Nebraska Public Power & Irrigation District provided a van taking six passengers to Lincoln, while other members drove in on their own. Jeff Buettner, lobbyist for Central, guided the group throughout the day and Tim Anderson drove the van.